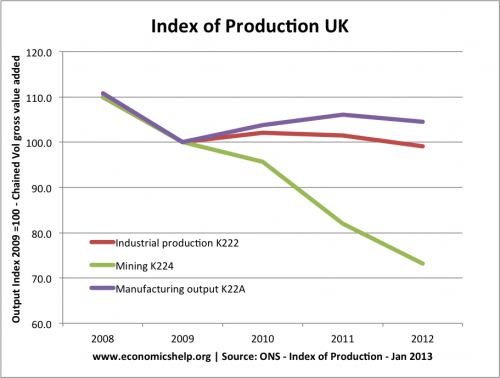 In Jan 2013, UK industrial production was 2.9% lower than Jan 2012. 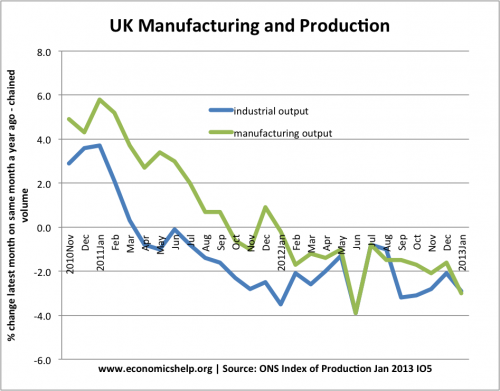 Manufacturing on a seasonally adjusted basis fell by 3.0% in January 2013 compared with January 2012. 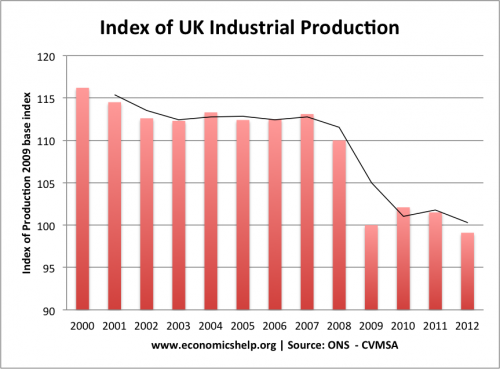 Industrial production is over 15% lower than at the start of the recession in 2007. Industrial output has been particularly hit by a decline in mining. Mining tends to be more volatile. 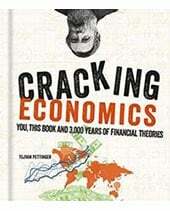 Arguably manufacturing gives a better guide to the underlying strength of the economy. Industrial production is lower than the 2009 low. 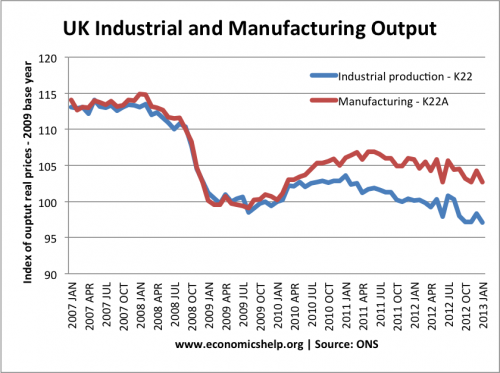 Manufacturing output is struggling to recover. 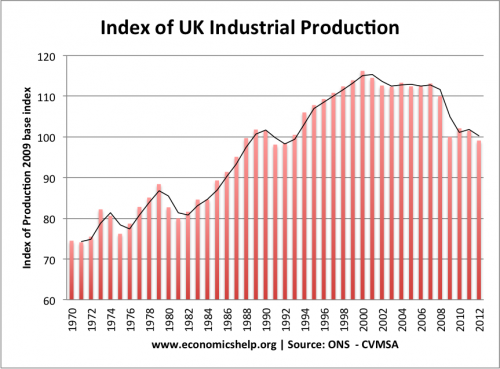 Industrial production is more than 15% lower than at the beginning of the crisis. The biggest decline as come in the mining sector. The data looks less promising if we look at the graph since 2000. 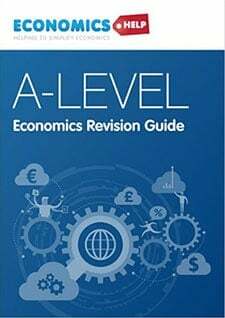 Manufacturing is similarly dissappointing. Even in the great moderation 2000-2007, manufacturing growth was limited – showing the economic growth was mainly propelled by the service sector and consumer spending. 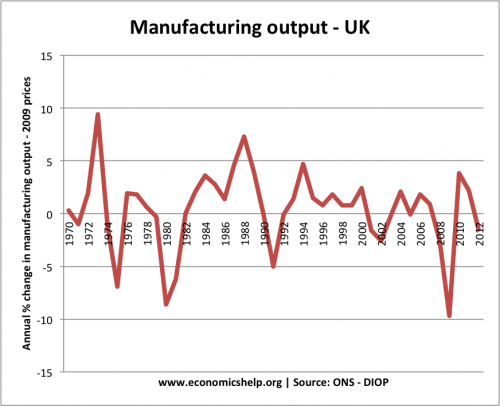 This graph shows the annual % change in manufacturing. Manufacturing output tends to be more volatile than economic growth. 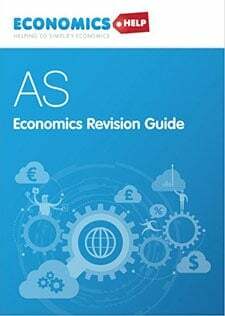 1. exports and balance of payments. Manufactured goods are more likely to be exported than services. 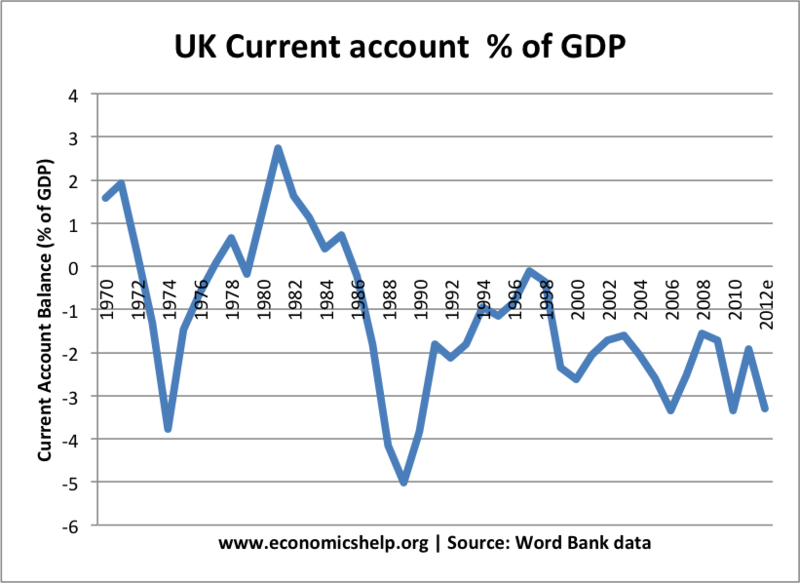 Some fear that the relative poor performance of manufacturing is a significant factor behind the UK’s current account deficit. The manufacturing sector is still an important source of jobs. Also, in certain regions like the Midlands and north east, big manufacturing firms are an important source of employment. If manufacturing firms struggle, there is often a negative regional multiplier effect. 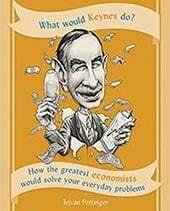 Some argue that there is nothing wrong with an economy that gradually become less dominated by manufacturing and more service sector based. 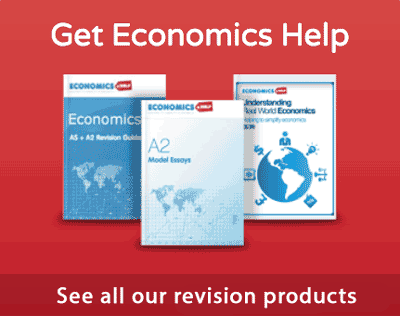 Why should the UK not specialise in the areas where it has a comparative advantage. However, others argue that the UK could become more competitive in high-tech manufacturing industries, like Germany. 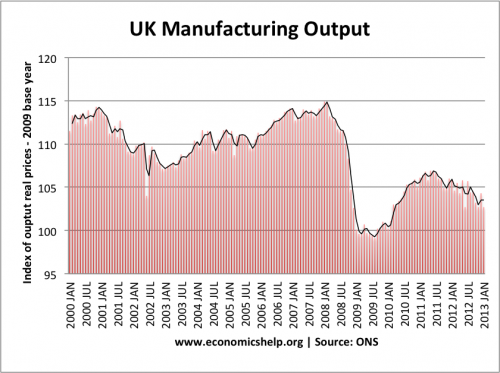 A stronger manufacturing sector would help the UK economy.